The Dragonfly Plus 1000 preformed pond is easy to install, and its convenient shelving can support a variety of wildlife and plants. Create your own natural look and make it into the perfect home for your plants and wildlife. 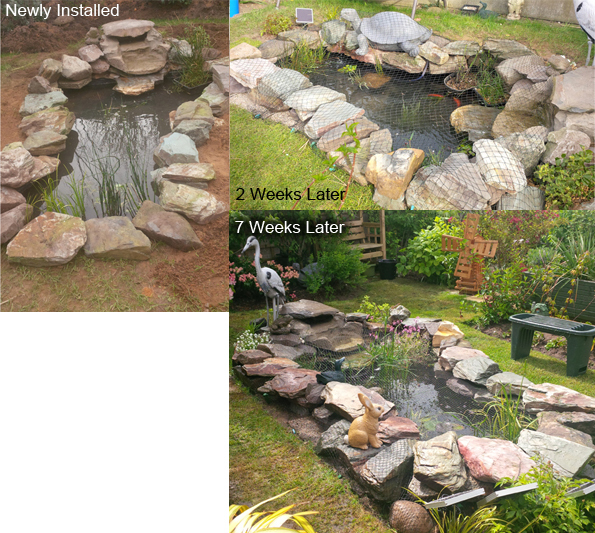 Thanks to Ms B for sharing these photos of her new pond installation - the photo on the left shows the newly installed pond, the photo top right shows it just two weeks later and bottom right 7 weeks later!